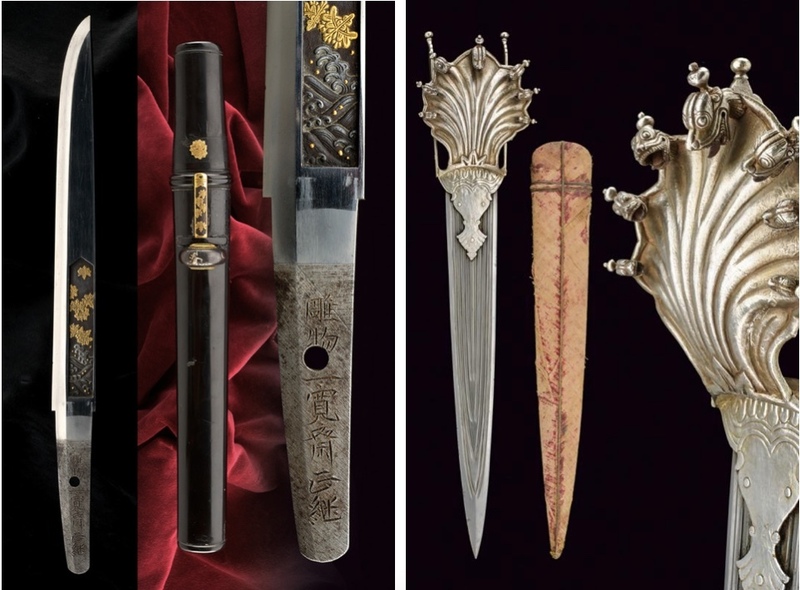 Swords, knives, sabres and daggers will all be going under the gavel at leading historic weapons specialist Czerny this month. This form of melee weaponry developed in the Bronze Age as humankind developed their metal processing skills. Swords created during this historical period are considered the first weapon, in the modern sense. 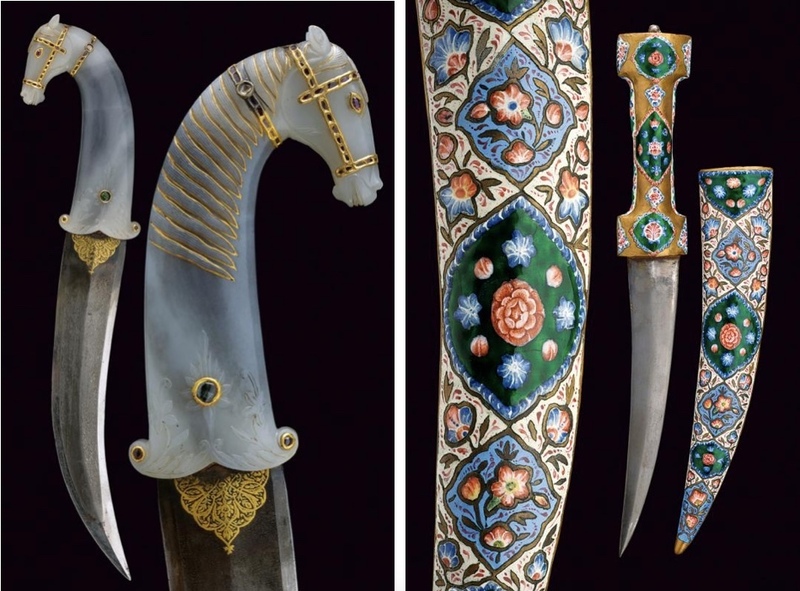 Throughout history, swordsmanship developed into an art. 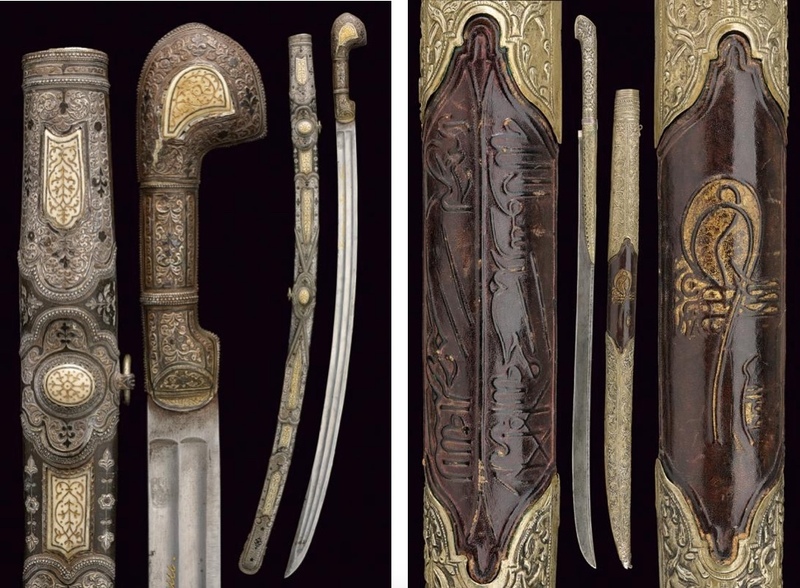 Swords were made with either a single-edge or a double edge, in order to safely guide a sword, it is important for the user to put balanced weight on both the blade and the handle. The Gladius, the typical short sword of the Roman soldiers, is a good example of swords used in battle in the ancient world. In Europe during the Middle Ages, the sword was the weapon of choice for noble knights, who would charge on horseback, sword defiantly raised, towards their enemies. 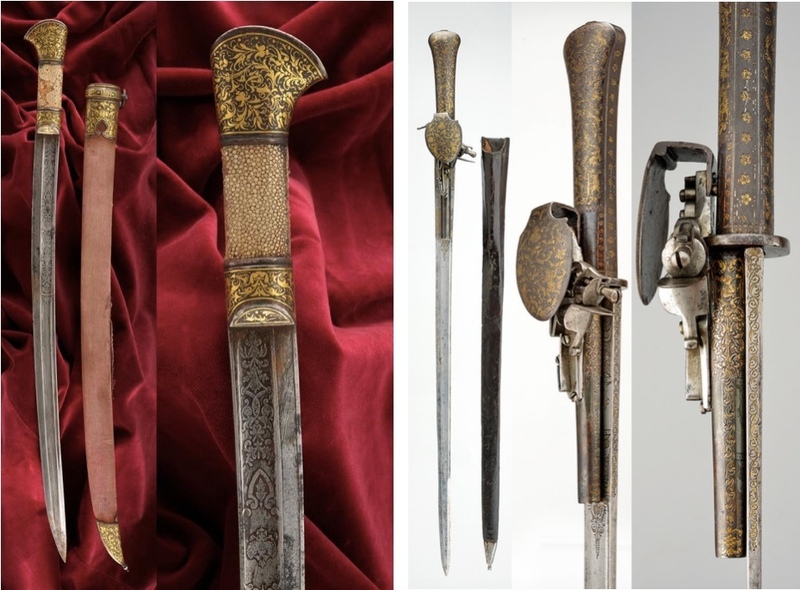 At the end of Middle Ages, the sword was gradually phased out in warfare as firearms were invented to cater for battles in which the two enemy sides would have a great distance between them, with up-close combat becoming rarer and rarer. 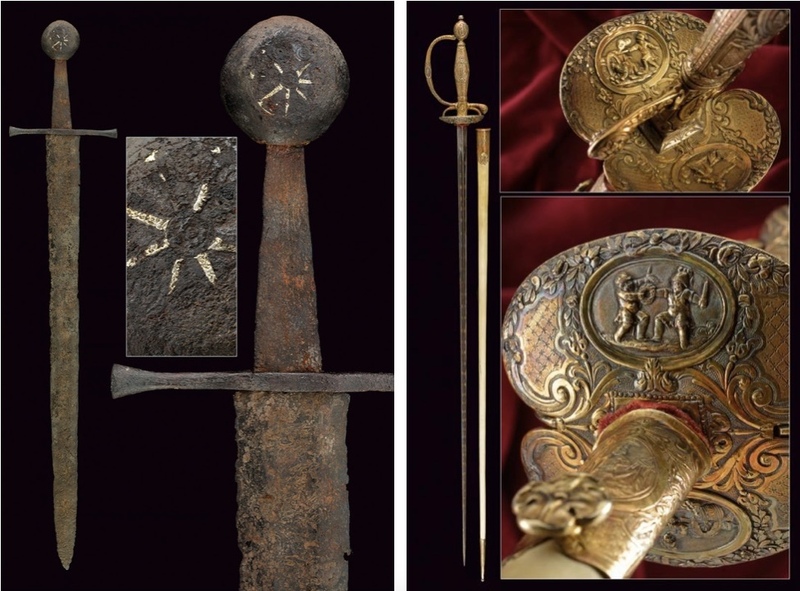 Left: Shashka with Cyrillic inscription "In memory of Petia and Sascha", Caucasus 19th c.
However, the sword continued to evolve with rapiers or sabres used during the 17th century by military officers and also as a mark of honour and recognition from European nobility. Historically, whilst swords with a straight blade were common in the Western hemisphere, swords with a curved blade, scimitars, dominated Asia. 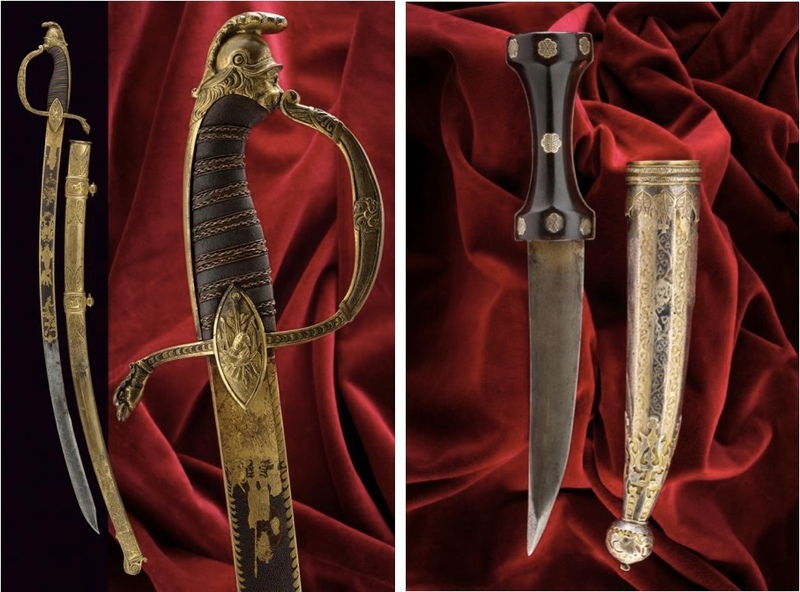 In addition to melee weapons, Czerny's auction on September 16 will feature historical firearms, such as rifles, pistols and revolvers from the world over. Another auction is slated for September 29 which will focus on Chinese ceramics and Asian antiques. Check out more here.